Greetings to you, dear user of a mobile gadget - iPhone. Regardless of what sexual orientation is the head or heads of Apple, we will still love apple gadgets for their reliability, functionality and good, stylish appearance. 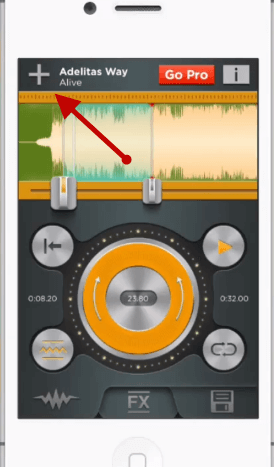 In today's material, I will tell you - how to create your own ringtone (format m4r) for the iPhone gadget as easily and without unnecessary, sometimes completely unnecessary movements.. This will help us a special tool - a program for creating ringtones (format m4r). It is very convenient to use it, create rigs (format m4r), with the help of it, you can from any track stored on the iPhone gadget. So let's start creating ringtones (format m4r). Oh yes ... I haven’t yet called you the name of the program that we will use to create great ringtones (format m4r). The program is called - Ringtone Light. I want to immediately notice an interesting fact - the program is absolutely free, no, of course, it has a paid version, but for creating ringtones (format m4r), the free version is also quite suitable. Download and run the program on the iPhone. Download the application of the music composition from which you, in the near future, are going to make a ringtone. 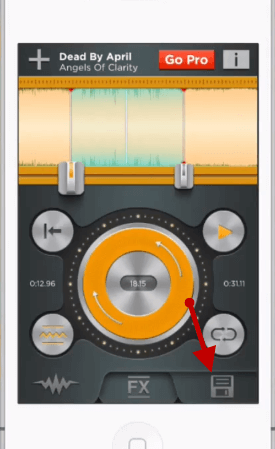 To add a song, you need: press the button with the image of a plus sign (located in the upper left corner of the screen), in the opened window select the “Library” item and load the desired song. A pop-up window appears with the question: “What are we going to cut?”. Select the item "Ringtone". On the timeline, select the desired segment of the song (for this, use the control buttons). 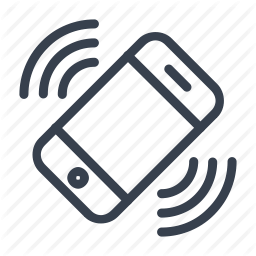 Save the ringtone, to do this, click on the button with the image of a floppy disk (located in the lower right corner). That's all, after the program saves the ringtone, you can use it as call on your iphone. Since iOS does not allow applications access to the iPhone file system, then you will have to add the ringtone to your device using iTunes. Otherwise it is not added. In the “Programs” tab in iTunes, find the Ringtone application and select it. You should have a folder open, copy the ringtone (music file, format - m4r) from the opened folder to your desktop or to any other folder. In iTunes, open the sidebar (CTRL + S) and select “Sounds” in the media library. Transfer the previously copied file to the opened “Sounds” workspace in iTunes. Sync your iPhone with your iTunes library. To do this, in the side menu, select the name of your gadget, then in the “Overview” tab, click the “Synchronize” button. Next, select the item “Ringtone” and select the previously downloaded file. Today this is all, I hope you were able to create and install to your iPhone a beautiful ringtone that you like. I would be grateful if you leave your comment on this material.. In order to leave a comment, use the commenting form, from the social network Vkontakte, located below. Attention: in order to be able to add comments you must be logged in (logged in to the page) on the social network Vkontakte. 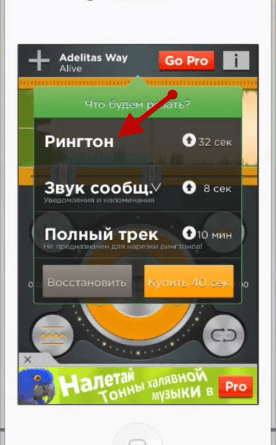 Appsgames⟾IOS software⟾Create a ringtone for the iPhone using the "Ringtone"